Crafty Scrapper: Design Team Reveal Over at 1~2~3 Get Scrappy! Design Team Reveal Over at 1~2~3 Get Scrappy! 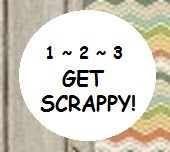 We are so excited over at 1~2~3 Get Scrappy! Our first challenge is tomorrow but we have revealed our DT today! Hop on over there to see all our talented ladies.